What are your biggest fears at school? You could be scared of that terrifying Comm professor, you might shiver in your boots at the thought of midterms or turn pale thinking about graduation. But you probably don’t fear for your life too often–unless, of course, you go to one of these universities. These haunted schools give you a pretty good scream for your buck. Just watch out for ghosts. 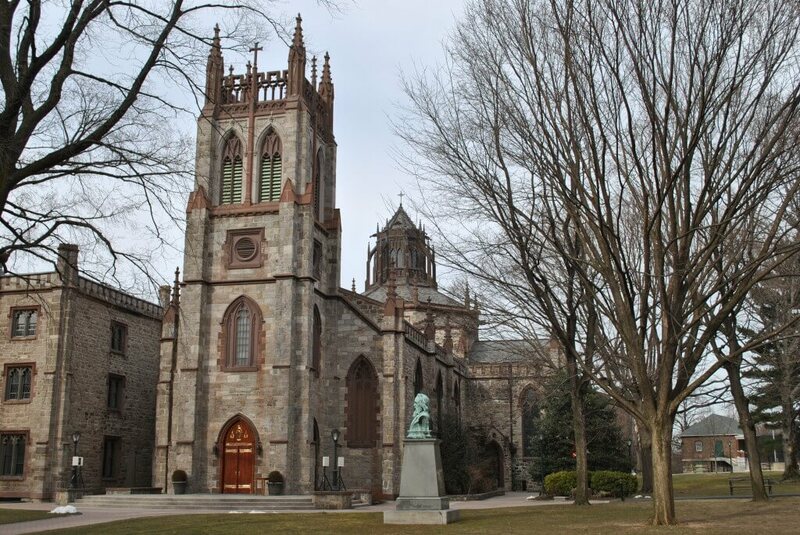 Many of the buildings at Fordham University look scary similar to a haunted mansion, and the vibe once you step inside them isn’t much different. 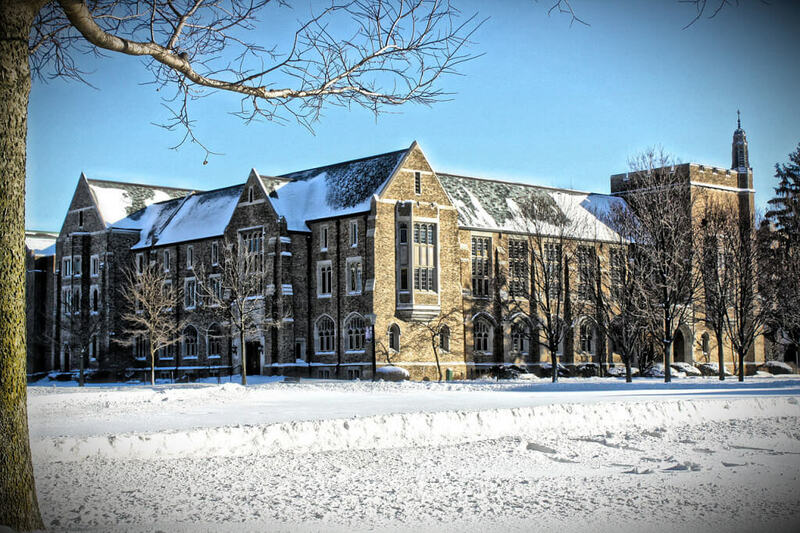 Keating Hall is recognized as being the most haunted. Cold spots are felt in the lobby, hands touch students’ shoulders on the third floor and items are heard crashing without explanation in a stairwell near the auditorium. Keating Hall’s Martyrs Court isn’t without the paranormal either. The ghost of a young blonde girl allegedly haunts the shower room, never moving or speaking; she stares straight ahead until she disappears. A male ghost has also been seen in the halls here, only to fade away as soon as someone catches a glimpse of him. The university was built over the site of a former hospital, but the ghosts who still reside here seem to be at peace with their deaths. Some students at Notre Dame are lucky enough to receive an encouraging pat on the back from one of the university’s most famous football players: George Gipp. The catch? He died in 1920. Gipp fell asleep on the steps of Washington Hall one night (quite the partier, he was) and developed a throat infection and pneumonia, leading to his untimely death. He stirs up some trouble despite his occasional friendliness, however. Students have reported being shoved in stairways, and hearing unexplained music late at night and phantom footsteps on the roof. Gipp might be a little upset about never making it to the pros, but he’ll love the Fighting Irish until the day he dies… and then some. Wells College once experienced a dramatic influenza epidemic, during which a room in the main building was used as a temporary morgue. As a warning not to enter, the door to the room was painted red, and then repainted after the epidemic was over. No matter how many times it was repainted, though, the red managed to bleed through, reminding people of what happened there. It’s also rumored that the main building has been home to a number of students who suffered untimely deaths, either by fire or by something a little more sinister. What would a list of haunted colleges be without a university on the grounds of the most infamous battle of the Civil War? 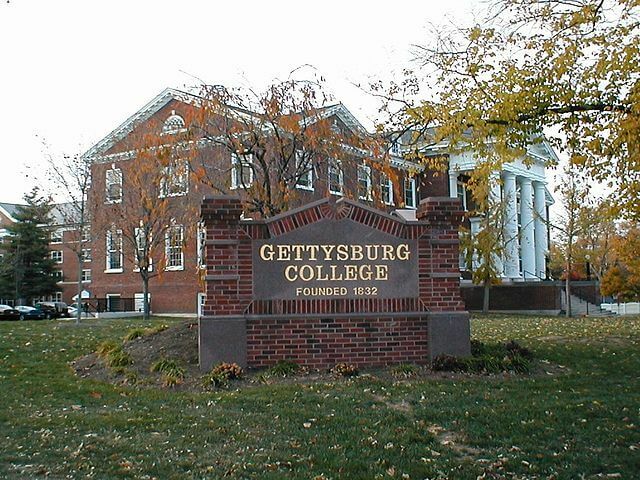 After its establishment in 1832, Gettysburg College’s Pennsylvania Hall was used as a hospital by both Confederate and Union troops. The basement is supposedly haunted by war doctors drenched in blood, and that’s not all. 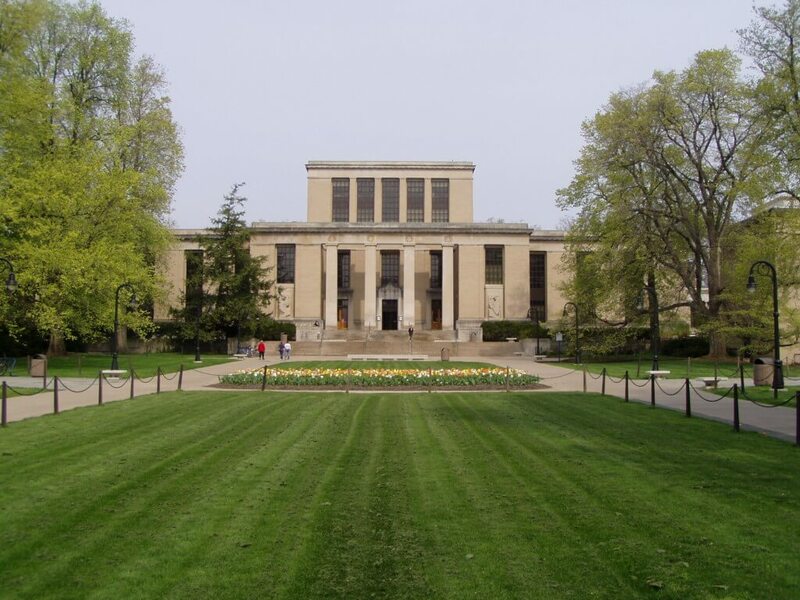 The ‘Lone Sentinel,’ the ghost of a soldier bearing a gun, has been seen by students near Pennsylvania Hall as well. Then there’s the “blue boy,” an orphan whose face is so blue that he appears to be frozen. 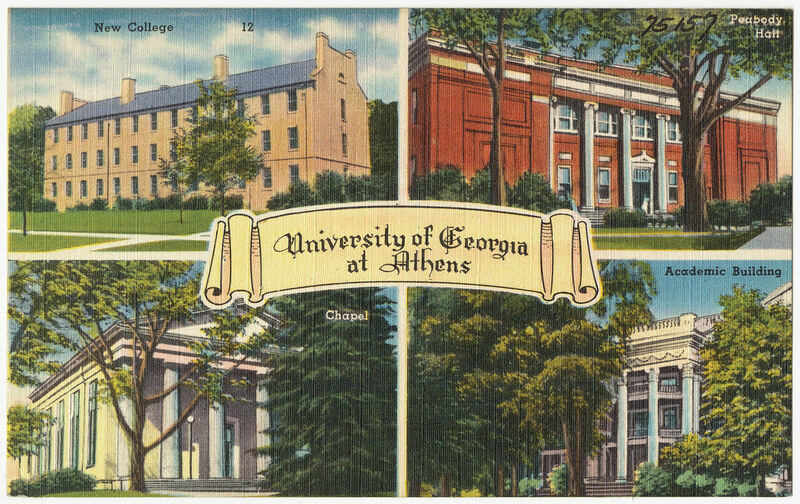 Founded in 1785, the University of Georgia is the oldest school on the list. That makes for some beautifully dated architecture, complete with many of the souls that once roamed the halls within. Toss in some Civil War deaths, and Athens makes for a perfect ghost story. Unfortunately for the Greek system, many of the allegedly haunted buildings on campus are sorority and fraternity houses, such as Sigma Phi Epsilon, Phi Mu and Delta Tau Delta. The Alpha Gamma Delta house, likewise, is rumored to be haunted by a former owner, Susie Carithers. The house was intended to be a wedding gift, but her husband never showed up to the wedding. Unable to cope, Susie hung herself in the attic. Some residents say they’ve seen her staring out the window, eternally waiting on her groom. 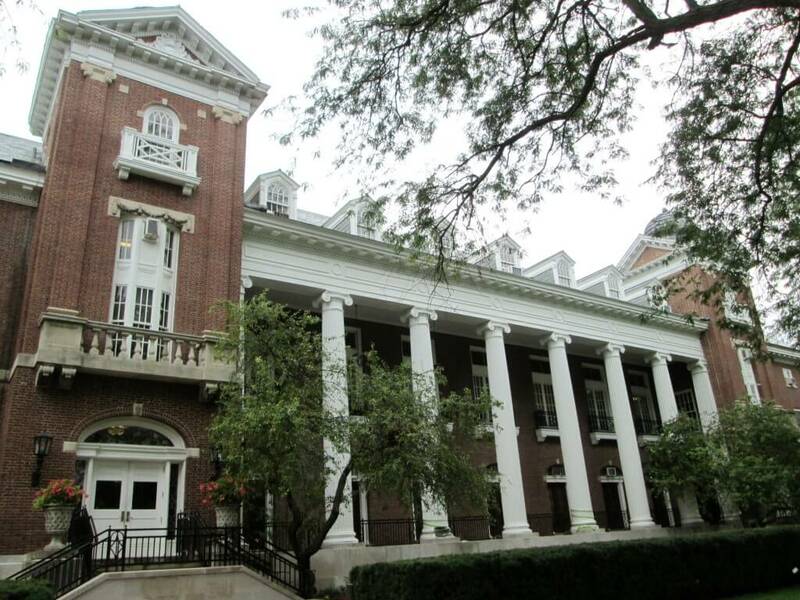 There are a number of allegedly haunted spots on U of I’s campus, including the English building (located on the main quad) and the Lincoln building. The main quad is considered the most paranormal site on campus. “This was years and years ago, but there used to be a big swimming pool in the basement [of the English building],” said senior Colleen Cavanagh. “One year a girl died, and it’s still unknown whether she drowned herself or if it was completely accidental. Ever since, many people have claimed to hear her voice, doors close and footsteps when there’s no one else in the building.” Nearby in the Lincoln building, people claim to see a ghost looking out the windows long after the building has closed for the night. No one knows who the ghost is, but rumors suggest it’s a former TA who died after jumping out of a window of the building. 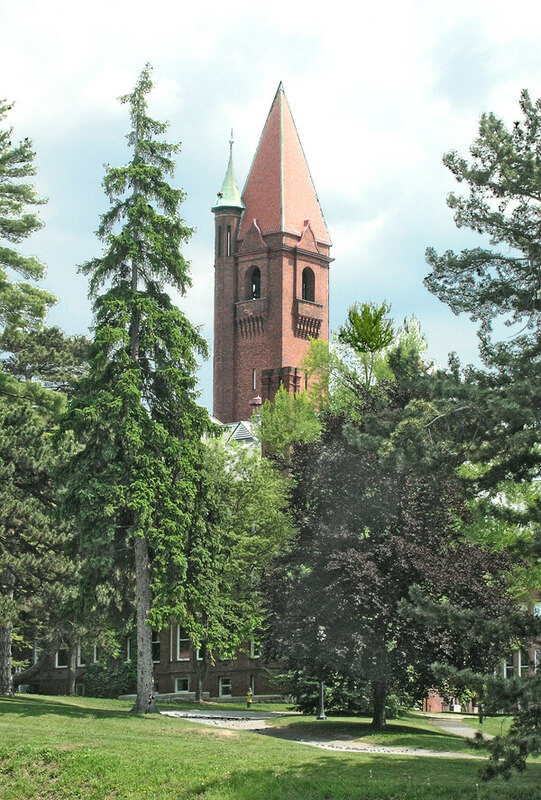 St Mary-of-the-Woods College is a small university in an even smaller town. 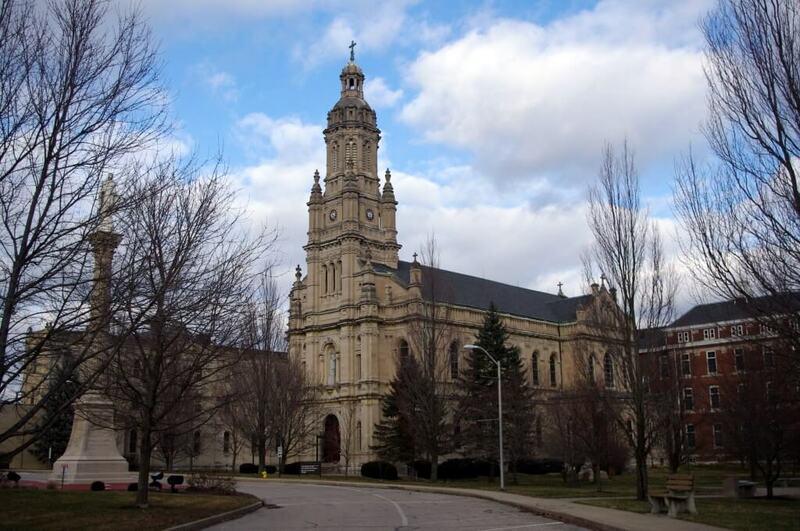 It’s the oldest Catholic school in Indiana, and it’s acquired a few ghosts to call its own since it was founded in 1840. The most widely known is the faceless nun. Legend has it that she had a talent for painting portraits and insisted that the face was the most important part, so she routinely left it for last. One day, she decided to paint herself, but she got very sick (without a known cause) and passed away without time to finish her face. Since then, students have reported seeing a faceless nun roaming Foley Hall and its courtyard. But that’s not the only unexplained phenomena that goes on in ‘The Woods” – pianos in the conservatory are said to play themselves and students in Le Fer Hall claim that ghosts have touched them in their sleep. A major hub in the colonies even before the conception of the United States, Boston is a city full of history… and ghosts. Many lives were lost there during the Revolutionary War, which feeds the abundance of ghost stories floating through the city. Boston University, however, is home to a ghost of a different trade: playwright Eugene O’Neill. He lived and died on the fourth floor of BU’s Shelton Hall, which used to be a residential hotel. There’s even a whiteboard in the common area for people to share their strange encounters with the paranormal. According to a story by NPR, students say the lights on the fourth floor are dimmer, the elevators open by themselves and toilets flush randomly. Ohio University has pretty much all the elements you’d expect in a haunted school: Athens, Ohio is known for paranormal activity, the university is the site of the former Athens Lunatic Asylum (which now houses a museum of Art) and Wilson Hall, a dormitory, was built on an old Native American burial ground and sits at the center of the cemetery pentagram (which consists of five cemeteries in the region). It was featured on Fox’s “Scariest Places on Earth” due to the mysterious happenings in room 428 of Wilson Hall. Supposedly, a girl who lived in that room in the 1970s began acting strangely one night, chanting and singing in a strange language. Her friends went to get help, but she jumped out of the window to her death before they returned. Perkins Hall, Washington Hall and Jefferson Hall are also rumored to be haunted. “At most universities, students are eager to find out which buildings are haunted on campus; at Ohio University, the students find it easier to just find out which buildings aren’t haunted,” Matthew L Swayne said in America’s Most Haunted Universities. Penn State sits at the top of our list for many reasons, but its most impressive feature is its very own paranormal research society (which eventually turned into Paranormal State, a reality TV show on A&E). Human ghosts are too mainstream for Penn State, which is home to Coaly: the ghost of a mule. The college has a very agricultural background, and it was Coaly’s job to pull carts around campus in the 1850s. He was also Penn State’s first mascot. After he passed, he was taken to a taxidermist and placed on display in Watts Hall, a dormitory. His presence supposedly still lives on in the dorm, and some say they’ve heard his distinguishable “hee-haw” or the plodding of hooves in the middle of the night. 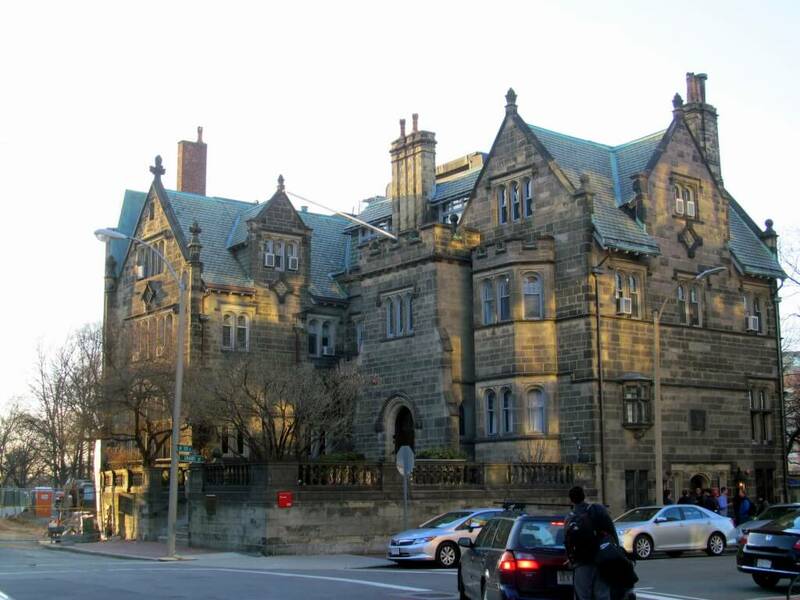 Another dorm on campus, Runkle Hall, is rumored to be haunted as well – or was, anyway. A number of students in the 1990s experienced some strange activity in room 318. One student even requested to be assigned to a new room. Luckily, the alleged poltergeist hasn’t been heard from lately.